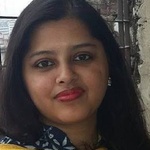 I am an Individual professional in Research, Data Entry, Mailing List Development, Office Management, Word Processing, Fact Checking, searching linkedin contacts. If you are looking...Read moreI am an Individual professional in Research, Data Entry, Mailing List Development, Office Management, Word Processing, Fact Checking, searching linkedin contacts. If you are looking for quality work related to the above services then no doubt you are in the right place. I am also expert on SEO, SMM. I can rank your keyword/website with updated SEO guidelines and of course white hat method. Please give me a chance to show my ability. Can give you guarantee that you will be more than happy after work with me!